If you have a touch-enabled device and are using a digital pen, by default it starts drawing immediately when the pen hits the document canvas. In your Office app, select File > Options. Select the Advanced tab. 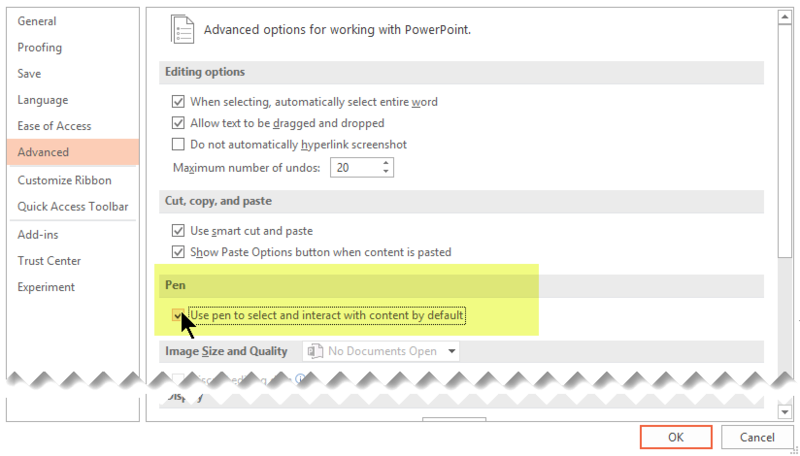 Under the Pen heading, select the Use pen to select and interact with content by default option. This feature is only available to Office 365 subscribers. 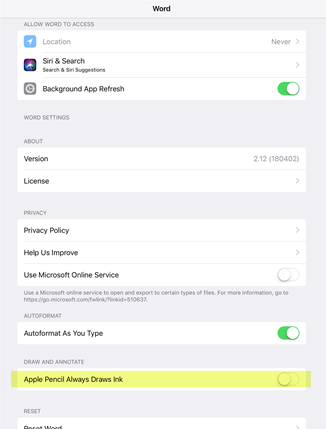 Scroll through the list of apps at the bottom of the Settings page to find Word, Excel, or PowerPoint, and tap to open its Settings. Drawing with ink is only available to Office 365 subscribers.